Resource > Blu-ray > How to Rip Blu-Ray Movies to Wii in 2019? Summary: This article gives a brief introduction to Wii and shows you how to rip Blu-ray to Wii with a professional Blu-ray ripper like DVDFab Blu-ray Ripper. If you would like to watch your Blu-ray movies on Wii, rip Bluray movies on Wii, so that you can leverage the computing resources of the gaming console and use it as a standalone media player too, there are a couple of things that needs to be done for that. This requires some installations apart from software to convert from Blu-ray to Wii converter, but also the media player that can play these files on Wii, which further has requirements like adding a homebrew channel and so on. This is a gaming console from Nintendo that offers similar features like that of the Sony PS3, whereas it lacks dread in playing anything like a CD or DVD or Blu-ray. The Blu-rays are made by Sony, so their PS3 natively supports playing Blu-ray discs as well, but Nintendo Wii has no luck in that. It has to be followed a workaround in order to be able to play anything like mentioned before. The major requirements for this is a Blu-ray drive, external one because it does not have one inside it, and then a software like DVDFab Blu-ray Ripper or Leawo Blu-ray Ripper and similar ones available for free too, to make the conversion process. It is important to use a Blu-ray to Wii converter since the native Blu-ray files cannot be read and viewed using any standard video player that might not support ripping ISO files encrypted in Blu-ray format. Thus, to rip Bluray movies on Wii, you must make use of other popular file formats like MP4, AVI and so on. This is a lot better option that doing modifications to the console software, which might lead to bricking it in case something goes wrong. In the DVDFab Blu-ray Ripper, the output file formats offer a list of devices and file formats to choose from, where they are arranged in the nice list of presets with brand names and name of devices. Nevertheless, if the Wii U or a particular version is not available, you can always convert it to the base format it follows. Luckily, this program offers native support for multi-core processing, batch processing, and leveraging GPU inside a computer or a chip such as from NVIDIA and Intel, respectively to do the video decoding and re-encoding. This can be really computationally intensive when large files are being managed from one end to the other. A dual-layer Blu-ray offers up to 100 GB of storage and any blockbuster movie is today available in Blu-ray format of 1080p in such large sizes. This is also true for Blu-ray 4K movies. DVDFab has Intel Quick Sync and NVIDIA CUDA that allow doing these painful tasks via both CPU and GPU to improve the hardware acceleration in the system. This manages your memory more efficiently, and avoids your computer from freezing. Thus, as an end user, you can do multitasking even when huge files are being unpacked and packed behind the screen. There is no a preprogrammed Wii file in the profile library of DVDFab Blu-ray ripper, but you can choose a video format supported by Wii to rip Blu-ray to video that can be played by Wii. DVDFab is extremely easy to use, you can rip Blu-ray to Wii with a few steps: load the source, choose a video profile, set the video parameters, and click the “Start” button. 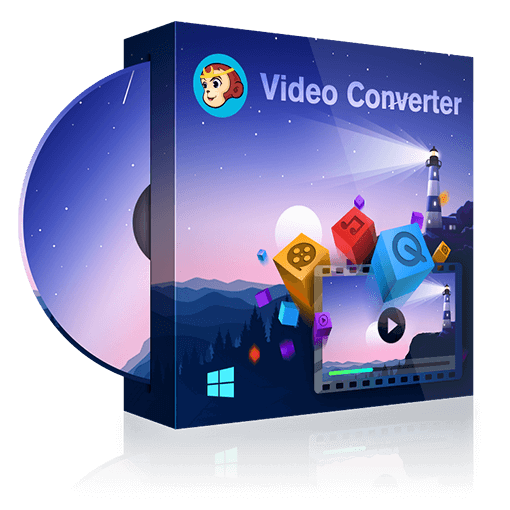 This is a free version plus paid for Windows & Mac and allows to rip Bluray movies on Wii at ease, in just 3 simple steps. First, you need to download and install the software on your computer, not Wii, and launch the program. This gets you to the menu from where you can browse to the Blu-ray player where the disc is inserted. Once, that is done, you can go ahead, it allows you to load ISO, IFO, and files in DVD folders as well. The Wii AVI or Wii MOV presets can be chosen as the output type from Devices, tab. The good thing is that there is a small preview option on the right as well that allows you to preview the movie in real-time. The idea of choosing presets is that you as an end user do not have to worry about things like brightness, resolution, frames per second, bit rate, audio and many more things that go into the video conversion process, from one to another. In order to rip Blu-ray movies on Wii, these things are taken care of by the software itself. So, all you have to do is hit the “Convert” button, and the program will create a file in the hard disc or the desired output location at any time. Now, this time is of a great importance which is why when ripping large movies of sizes like 50 GB, one wishes to use a program that is more advanced, faster than others, makes efficient use of computer resources and so on. This also means that you need to have a modern computer with stuff like GPU, multi-core processors. These days, even smart phones come with 8 cores, so it is only wise to choose programs that support such architecture. There may be online options for these as well since the cloud is taking everything by storm. In these cases, all the data handling is done via large optical fiber high-speed internet connection. The files have to be either uploaded or sent to the file Blu-ray to Wii converter via the cloud's URL link. These then can be converted via powerful computers or workstations sitting somewhere. This article shows you how to Blu-ray movies to Wii, but if you want to you can play Blu-rays on your laptop with a Blu-ray player software. Please follow us to have a look at these Blu-ray players for Win/Mac. Here in this post, we will show you how to play Blu-rays on Xbox One and how to convert Blu-rays to Xbox One supported formats like AVI, MKV, WMV and more easily and quickly.